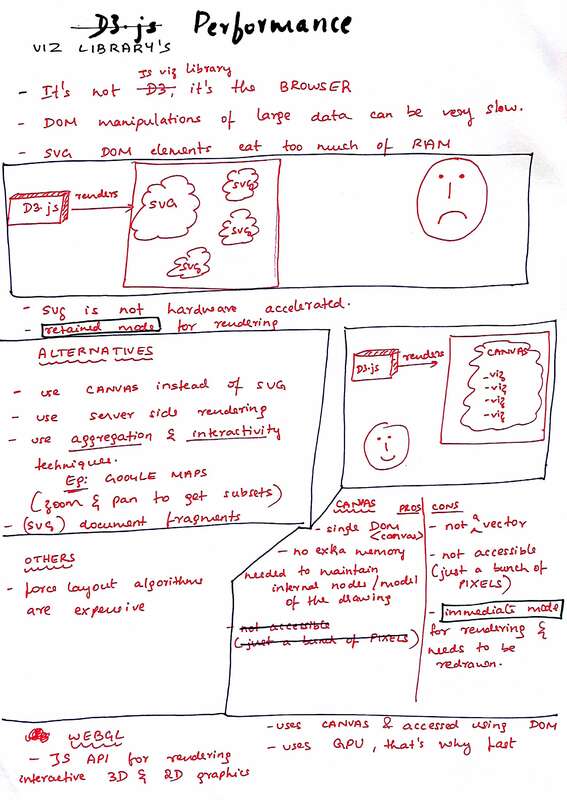 As part of my Outreachy project work for Lightbeam, here is a zine which I drew to understand the differences between SVG & CANVAS elements in the context of visualisation library’s performance. Another one, comparing the visualisation libraries. Published by Princiya 16 May, 2017 in May, TIL, Technical and 2017 and tagged canvas, outreachy, svg, viz, zine and zine using 48 words.